Natural And Beautiful Hair With An Oil. Healthy hair growth is every person’s dream irrespective of the fact whether it’s a woman or man. Healthy hair growth isn’t only limited to having thick hair growth on the scalp. It could also mean having beautiful, naturally attractive eyebrows and stunning lashes. Lashes and eyebrows could define your beauty so much because thick lashes and beautiful natural looking eyebrows do not come to everyone naturally. Only a few lucky people are blessed with stunning long hair and beautiful eyelashes, other? – They just wish they had it or try to make up for it using different hair extensions and fake lashes and what not. But there are ways in which you can improve those beautiful lashes and eyebrows of yours apart from using fake extensions. One of the natural ways of improving your hair growth is using Argan Oil. To those who don’t know about it, this oil is a natural supplement that works for the betterment of your health. This oil is especially good for your hair health and helps to improve your hair health too. Don’t you want to say – ” It’s natural” when someone compliments your eyelashes? Also known as “Liquid Gold” this oil is made from the extracts of the Argan tree from native Morocco. It has a lot of benefits for skin and hair as it improves your overall hair health. From thin eyebrows or short eyelashes, rough skin or scalp damage, Argan oil covers all bases and heals your skin. Revives the youth of your skin. Our eyebrows and lashes are not much different compared to the hair that grows on the scalp. It’s similar to the hair on the scalp when we talk of the hair fiber. Taking this into consideration obviously, it also indicates how the growth treatment for lashes or brows couldn’t be much different. Let’s know more about the ingredients in Argan oil that help in promoting healthy lashes and eyebrows. Argan oil is one of the natural solutions for your hair. Argan oil is full of antioxidants and vitamins. Vitamin E provides nourishment to the hair that helps in a better hair growth compared to before. Antioxidants also have a tendency to boost blood circulation and promote healthy hair growth. Our body can’t produce Omega 6 on its own so it’s necessary that we eat an appropriate amount of food every day that would provide enough omega 6 content. Fatty acids play an essential role in the growth of hair. Besides maintaining healthy and supple skin they’re also known for voluminous and thick hair growth. Besides this, Argan oil has a lot many other components that also play a role in contributing to hair growth. This is a polyunsaturated hydrocarbon liquid which protects your skin again free radical damage. It acts more like vitamin E and antioxidants too and prevents the breakdown of your skin and prevents the elastin and collagen of your skin hence, it looks firm and youthful. Beautiful Long Eyelashes Just A Click Away. 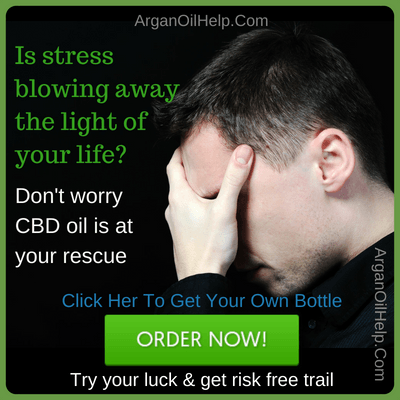 Argan oil treats hair loss so If you’ve been suffering from an unreasonable hair loss or stranded lash/brow growth then this miraculous oil could help you! Argan oil helps in treating dry and brittle hair strands that refuse to grow at any chance. Regular application of the oil also protects the hair from the sun as it locks in the moisture preventing any sort of foreign particles or substances from affecting the hair quality by damaging it. It keeps your curls in place as well. Curly hair is very difficult to manage and takes a lot of your time and effort. Plus curly hair is more prone to be damaged and hence Argan Oil improves your hair health, in general, making it more manageable for you and pretty looking too. How To Apply Argan Oil To Promote Lash And Brow Growth? There are various methods of application that could lead to better results. Mix 1/2 tsp of Argan oil followed by cold pressed coconut oil; castor oil and aloe Vera gel (optional) all in equal parts as the Argan oil. Blend it well and store this in a small container. Use it every single night before sleeping. Apply it with a thin brush or earbud over your eyelids and brows and see the difference in no more than five days! Note: Use it till you don’t see the quality/consistency of aloe Vera gel changing. Mix equal portions of Argan oil and castor oil. Take a suitable thin brush that’s similar to an eyeliner brush and dip it in this oil mixture. Take the brush covered in the oil and apply it on the eyelid just like you would apply your dark eyeliner. Do this before sleeping every day and you’ll see guaranteed results. Keep in mind that for best results you need to use Argan Oil regularly. Note: Be careful while applying oil anywhere near your eyelids. Don’t let it enter the eyes as it could tend to irritate the eyes to some extent. Argan Oil or often called as the “Liquid Gold” is an organic extract that has a lot of health benefits, especially for your hair. Although this oil acts as a moisturizer too and is very beneficial for your skin, it works exceptionally well for hair as per the review states. Especially if you’re suffering from issues with your eyebrows and eyelashes then this oil might just work well for you. Thin eyebrows or lashes hinder your natural beauty and they’re a prominent part of your physical appearance especially your face. And when you’ve got long lashes or bushy eyebrows it enhances your natural beauty even more. Argan Oil helps you with that as pretty well and improves the overall hair health. As this oil is completely natural it won’t harm your health at all making it free of side effects too.